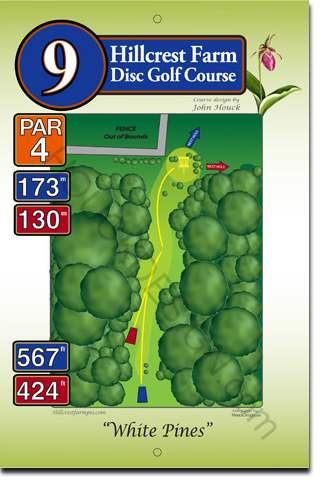 This par 4, 173 metre hole is all uphill, but take courage! There’s a clubhouse at the top, where you can take a break. After a tricky first shot past a few tree trunks, the fairway slants gently to the right as you play toward the basket at the top of the gentle, steady slope.